Martinez, J.J. [et al.]. 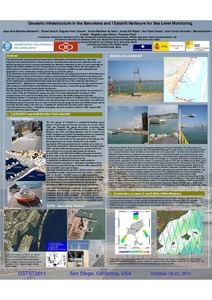 Geodetic infrastructure in the Barcelona and l’Estartit harbours for sea level monitoring. A: Ocean Surface Topography Science Team Meeting. "OSTST 2011 (San Diego) meeting : posters". San Diego (CA): 2011, p. 1.